Also included: All taxes and government air passenger duty, welcome meeting. Our long years of operating in Lapland have taught us that there are some clients who simply cannot get enough of the sheer exhilaration that a snowmobile provides. And so we have designed a break guaranteed to get their pulses racing. This three or four-night trip includes two wind-in-the hair excursions that will give you ample opportunity to hone your snowmobile driving skills amid the snowscapes of True Lapland. The two-hour Northern Lights Snowmobile Safari offers a magical evening at the controls of your own snowmobile, crossing frozen lakes and silent forests in search of the Lights, but it is the full-day Snowmobile Adventure that will really introduce you to the beauty of Lapland. Additional excursions can also be added to make your adventure into the wild truly special. Please note this tour is only available for those with a full driver's licence. Your Snowmobile Voyager break begins with a flight from your chosen UK airport to Kiruna in Northern Sweden. From here, you will make the 2 hour transfer to Karesuando - a spectacular journey, travelling through the majestic forests and passing countless frozen lakes. The charming village of Karesuando will then be the base for your Arctic adventure, from where you will venture out on the exciting activities detailed below before flying back from Kiruna. We’ll organise the running order according to the local conditions while you’re there so a set itinerary will be provided at a later date. You will also have the opportunity to choose from our programme of optional excursions: maybe try your hand at husky sledding or spend a night in an igloo – a definite highlight of our Arctic Spirit programmes! Setting off on your trusty snowmobile, you will navigate along the winter-stilled surface of a frozen river, stopping along the way to try your hand at ice fishing and snowshowing, and to stop for a warming lunch amid the wilderness landscapes. *All Snowmobile activities carry a €550 damage deposit which is payable locally. A valid driving license must be shown upon arrival. 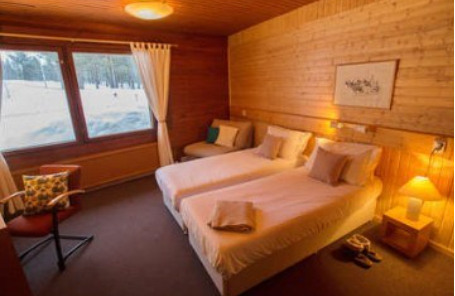 Situated on the outskirts of Swedish Karesuando, the Arctic Star is a traditional and friendly hotel offering superb views over both the majestic Muonio River and the Kaarevaara fell. Here, you are well placed to explore Karesuando on foot, dropping in at Sweden’s most northerly church, paying a visit to the local museum and regularly crossing the Finnish-Swedish border. 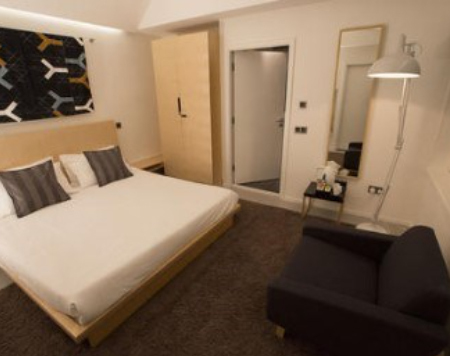 Whilst simple and comfortable, the hotel has recently undergone a programme of modernisation and has all the essentials you need for a good stay including an open plan bar and dining area. 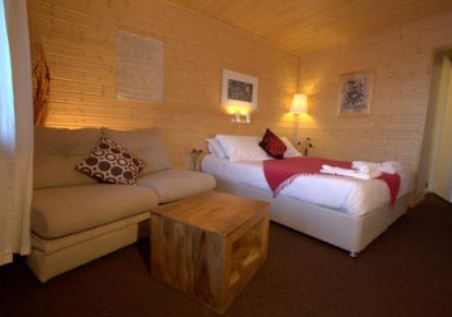 The rooms are simple and cosy, with room upgrades available. 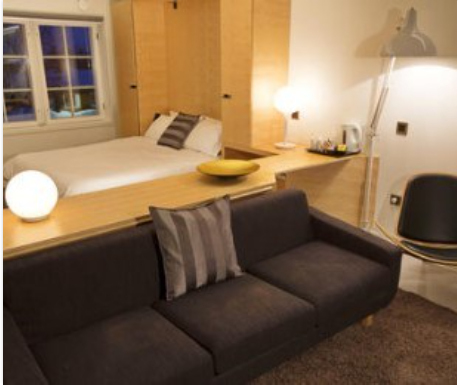 These value-for-money twin and double rooms offer a generous 15.8 square metres of space, with en suite facilities. Whilst they have not been refurbished in recent years, the rooms are comfortable and traditional. They can also accommodate a third person on a fold-up bed if required, making them ideal for the budget conscious. Larger rooms can sleep up to 4. The Davvi Arctic Lodge is a charming, simple hotel set on a quiet, secluded hillside in the border-village of Karesuando. The beautiful restaurant, its circular design inspired by the shape of a Sami reindeer corral, is the hotel’s centrepiece and from here you can enjoy panoramic views over the snow-covered hillside to Swedish Lapland located just across the border. Deep in the heart of True Lapland, and located on the offical Northern Lights route, Karesuando offers once-in-life-time Arctic experiences without the crowds. For those looking to stay in the Swedish side of the village we also offer Northern Light stays at the Arctic Star hotel. We always find a warm welcome awaits at the Davvi Arctic Lodge. 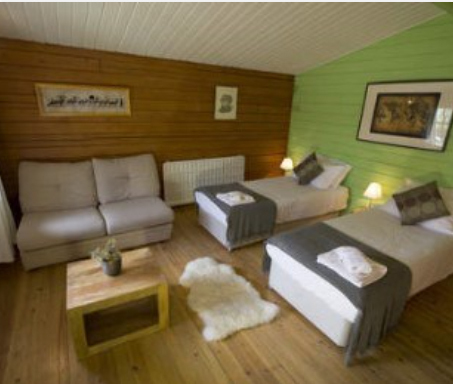 This charming, simple hotel is set on a quiet, secluded hillside in the border-village of Karesuando. The beautiful restaurant, its circular design inspired by the shape of a Sami reindeer corral, is the hotel’s centrepiece and there you can enjoy spectacular panoramic views over the snow-covered hillside to Swedish Lapland across the border. The Davvi Arctic Lodge hotel rooms are set on two floors in a wing that extends from the main building. All the rooms are en suite, although some of the bathrooms (shower, WC) are very small. The twin rooms are simply furnished. Sleeping two in twin beds, the rooms afford a warm and comfortable stay. 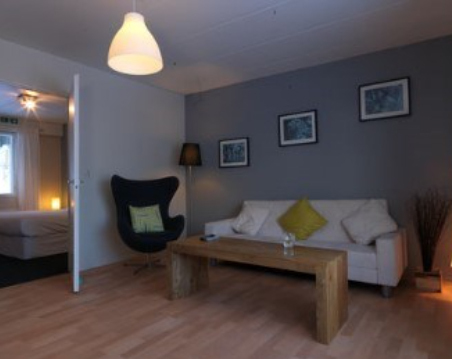 The double rooms are also simply furnished and comfortable. Depending on your party size, larger double rooms are available that sleep two children (or one adult) on a sofa bed. Please note that if these larger double rooms are utilised to their maximum occupancy, the rooms can become cramped and storage space will be minimal. There are two large, detached cabins at the Davvi Arctic Lodge. 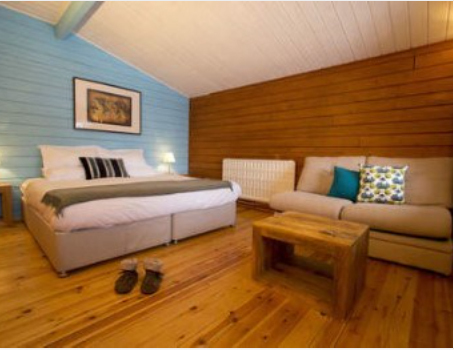 These two-bedroom cabins can sleep up to 6, with one double bedroom and one twin bedroom, as well as a sofa bed in the separate lounge area that can sleep two children (or one adult). 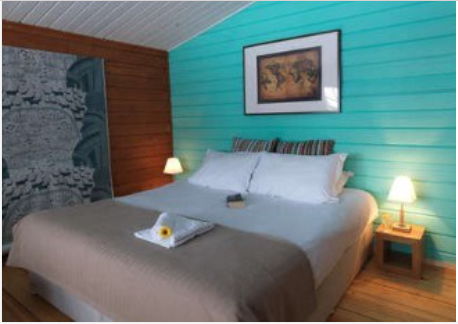 All cabins have their own private sauna and are located just a short walk from the main hotel. There’s a full programme of excursions available on this tour. You can add any of them when you make your booking. They will be on an ‘on request’ basis and we will confirm them to you. Not many people can say they have spent the night in an igloo, in the heart of the Arctic wilderness. But that is the extraordinary experience you can enjoy (or brave!) during your Arctic Spirit break. Inside, the igloo is surprisingly warm and cosy. 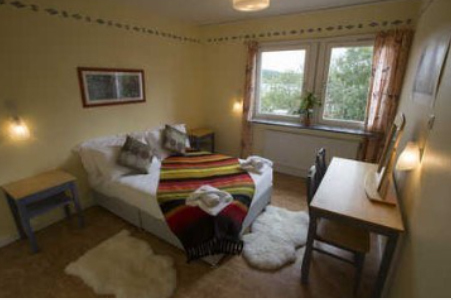 The ice bed has a snow surround, covered with warm reindeer hides. We will provide you with an Arctic sleeping bag. Candlelight lends the whole experience a romantic and special atmosphere. And don’t worry, there is the back-up of a warm room, just in case you feel the chill! 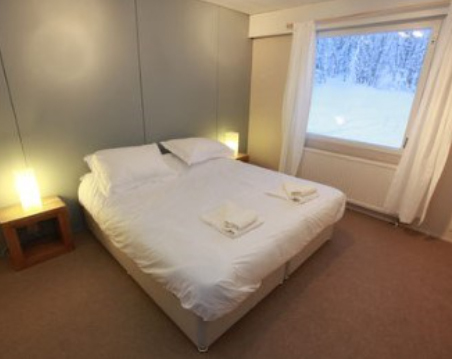 The Davvi Arctic Lodge is a great choice for cross country skiing. There are long wilderness trails, some groomed and illuminated, with one located next to the hotel. You will receive ample tuition before trying a short skiing trip. It’s not as complicated as it looks and great fun too. Guiding and equipment included. On completion of this tour, Ski hire is available for £20 per person. The small Sámi museum at Hetta (about 50mins drive) provides a fascinating insight into the culture and traditions of the Sámi people. The ice castle, reconstructed every year, features a number of rooms with ornate ice carvings. Take a magical evening safari on a sledge pulled by a team of dogs. You will travel across frozen lakes and through silent forests and hopefully you will glimpse the beautiful Northern Lights evolving overhead (of course, this cannot be guaranteed). Enjoy a visit to the world-famous Ice Hotel, a building carved entirely from the ice of the nearby River Torne. Here you can marvel at the chiselled, chilly interior, handcrafted anew each winter. Please note this excursion is only available from January.